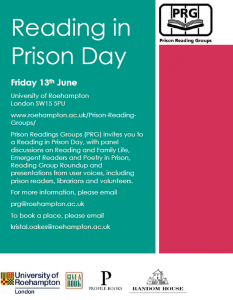 Prison Reading Groups are hosting a Reading in Prison Day on 13th June 2014 at Roehampton University. There’s an excellent range of speakers and topics, with panel discussions on Reading and Family Life, Emergent Readers, Poetry in Prison and much more besides. An extremely timely event.